If you’re used to relying on Claudia’s easier modifications, then this isn’t the workout for you. 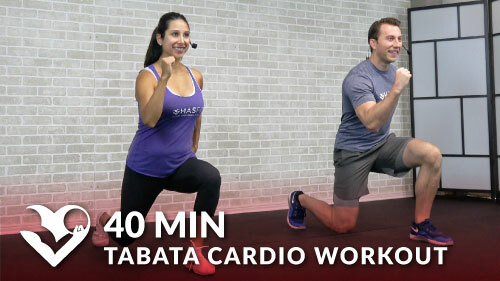 This 45 minute, non-stop, full body HIIT workout will push you to your limits and beyond. It’s also a great routine for those who get bored easily, because you won’t repeat the same moves twice. You’ll need a pair of dumbbells and then either a bench, box, or chair.